Cheap Plus Size Swimsuits and Dresses! 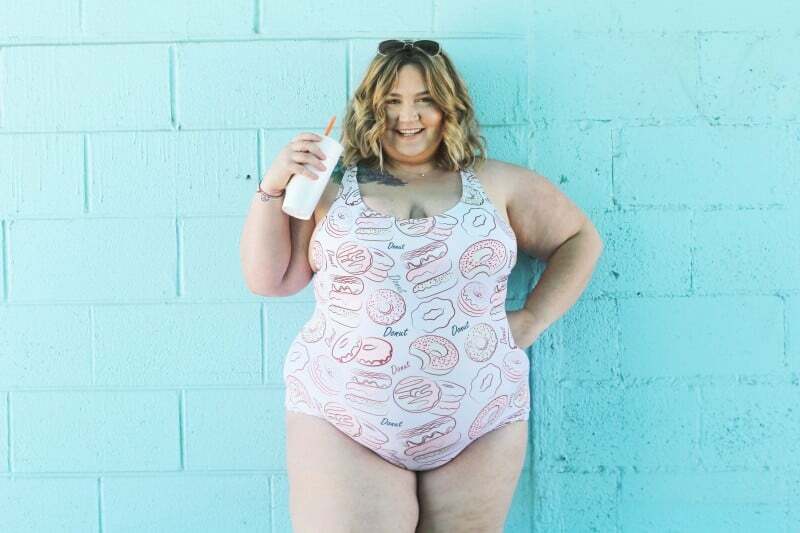 Well, I have a swimsuit with donuts all over it, so I guess I never have to go shopping again. If you’ve never heard of CowCow, boy have I got some exciting news for you! They’re a retailer on Amazon that sells clothing S-3x in some of the cutest patterns you’ve ever seen in your entire life. Veggies, unicorns, spaceships, cupcakes, floral, they have it all! The shop sells their funky patterned pieces in leggings, dresses, and bodysuits, and all of the fabrics are made of a super stretchy polyester spandex material. Oh, and guess what?! Almost everything in their store is under $20!!! I’ve now purchased 2 dresses and one (very special) very cheap plus size swimsuit from them and I am super pleased with all of my purchases. The swimsuit is actually long enough for my torso, which is a down right miracle. 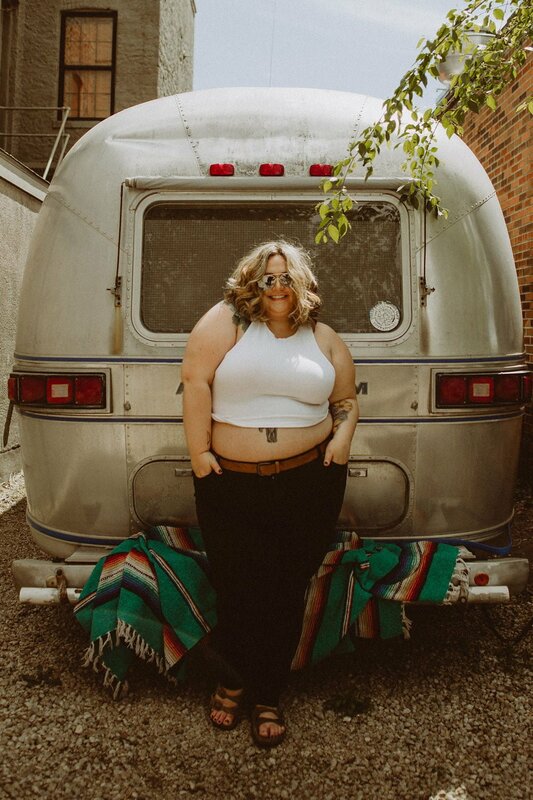 And the cut of the bottom is less full coverage than most plus size swimsuits, which I appreciate because you know I like my booty meats showing! When I first tried on the swimsuit it was a little snug pulling it on and off because the threads in the neck were tight. But when I put the swimsuit on for a second time it had stretched a bit in the threads and was plenty accommodating. You can watch a full try-on video with all the CowCow pieces I own below! Happy shopping love bugs! Thank You For An Amazing Year!!!! I’ve been obsessing over CowCow ever since you first showed the veggie dress in a video…I want one so bad but they’re all so stinking cute i haven’t been able to decide which to get!!! Corissa, watching your videos, are you near the KCK? I thought you were in Indiana or Ohio, but I have cousins in the KCK and I’ve been out by the Speedway. Your husband is a very lucky man because you are so beautiful. I’M SO HAPPY YOU LIKE THEM!!!! The secret star of this post is your sunglasses recommendation!!! SO CUTE AND SO CHEAP OMG. You are just the cutest thing ever <3 one of my lifetime missions it to one day photograph you! Ever since you wore the veggie dress I was obsessed! I bought two skater dressed (one with rainbow crystals and one with sugar skulls) they are the cutest and most comfy dresses ever! Now I’m looking at some swimsuits! ? I’ve been in desperate need to find a new swimsuit and one that would fit my chubby self, these all look super cute I’m between the doughnut one, a cat one, and a dog one gunna see what my husband things. Besides me, several of my friends have cowcow dresses now. They’re taking over the world! WE’LL BE CLOTHED IN FUNKINESS!!!! Love this post, and love the swimsuit especially! 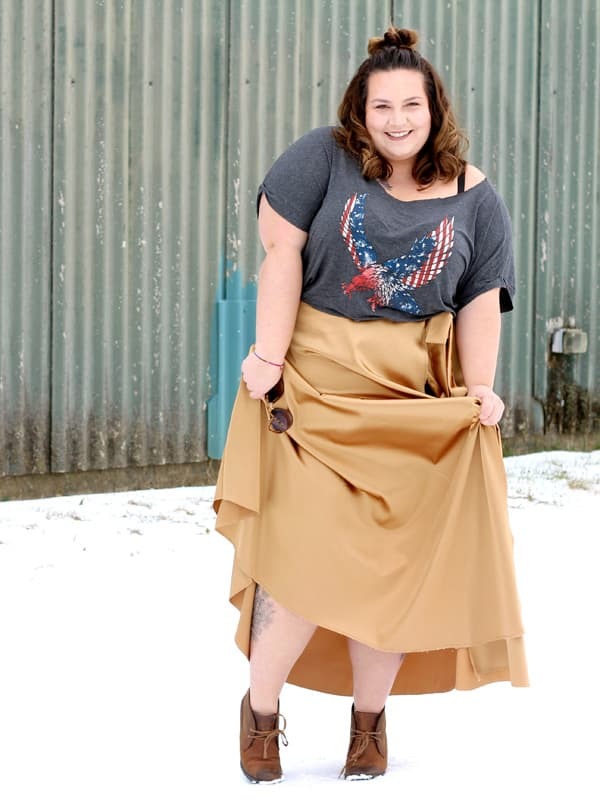 I have a question: I was wondering if you could do a video or post on how you wear skirts and dresses without shapewear–not from an aesthetic perspective, like smoothing out rolls or anything, but from a comfort perspective. For me, I can’t go more than ten minutes in a dress or skirt without chafing and it can be pretty painful without some sort of skimshorts or spanx to keep my legs from rubbing together (in winter this isn’t an issue because I’m usually wearing tights or leggings). This was even a problem when I was straight sized, but it’s obviously worse now that my thighs are bigger and I’m plus sized. Do you have any tips or insights into this? I hope this is an okay place to ask the question! Thanks, and keep up the great work and I wish you nothing but success! Silicone can help with that. If you’re an adult get an inexpensive silicone lubricant. If you’re a minor try a drugstore silicone primer (similar to Smashbox consistency). I think silicone lub is a bit better, but I’ve used primer for this issue as well.